Every year, the Belgian marketing foundation STIMA sets up its Trends Night to discuss what the past year has brought and what the future will bring. 5 speakers and trendwatchers shared their view: Bart De Waele of Wijs, Xavier Damman of Storify, Andrew Grill of IBM, Tom Palmaerts of Trendwolves and Adjiedj Bakas of Trend Office Bakas. So, which trends do I remember from the event? Bart De Waele of digital agency Wijs argued atomisation of data is upon us. Starting from the Internet history to today, he observes sharply that it all started with huge portals; next came compact websites, followed by short blogposts. Then came ultra-relevant and short status updates, followed by tweets of which the character number is literally limited. Infographics are a good example in the research world that is still plagued by PowerPoints which are too long and descriptive. So the question is: where will it all end? Nobody knows, but what we do know is that it’s going to be short. Take Yo! 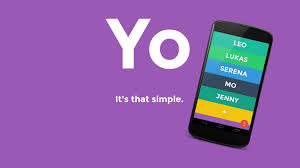 Yo is a social application for iOS, Android and Windows Phone. The app’s only function is to send the user’s friends the word “yo” as a text and audio notification (it has since been updated to enable users to attach links and location to their Yo). Nothing more. 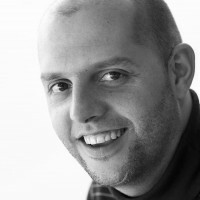 IBM’s Andrew Grills shared with us his idea of what social serendipity means. Every time he lands at an airport, he shares that on Twitter: landed in Brussels or landed in San Francisco, or… 9 times out of 10 nothing happens of course, but every once in a while somebody reaches out and says I’m in town too, let’s meet up. This simple yet powerful example shows how effortlessly social our social media have become. It is important however to remember this and to not auto-censor your ideas, places and thoughts. Andrew shared for example that he still does this, even though his wife calls him crazy for doing it. This obviously only works if people are willing to share where they are, who they are with and what they are doing. 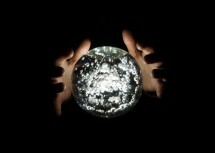 Both Tom Palmaerts of Trendwolves and futurologist Adjiedj Bakas predict bad to become the new good. Beauty will have to make room for ugly and black and white for bright and fluorescent colors. Bad taste can become so unusual that it becomes seductive again. The scarcity of the ‘bad’ will have an inevitable appeal to us. And this will influence the way we look at heroes. It will affect the way we will tell stories. Take Tinderella, a modern fairy tale messing up the morale behind all traditional stories we used to hear as a kid. A modern day pop example which has made it into the mainstream world by making bad taste look good? Azealia Banks! Trendwolves’ Tom Palmaerts launched my favorite word of the evening: slowcial. Tom points out that, 5 years ago, all trend words sounded like e-something, @something, something.com or something 2.0: all symbols referring to the shift from off- to online, which we all witnessed. Today, however, there is no online, there is no offline; there is no line. Everything is intertwined and -mixed. It’s like when you receive a new toy as a kid: you can’t stop playing with it the first day and after a few days of non-stop playing you get an overdose; we may have overestimated the only online world we expected to live in by now. So, the future will be slowcial according to Tom: sometimes we will be craving deep face-to-face contact while in other contexts (the very same day) we will continuously be texting, tweeting, liking, commenting and upvoting. The world going slowcial is about the world growing to a more mature relationship with all things digital, really. A bold and provocative statement which Adjiedj Bakas came up with. Not one I personally believe in, though. But it was definitely a conversation starter on Twitter and during networking drinks. 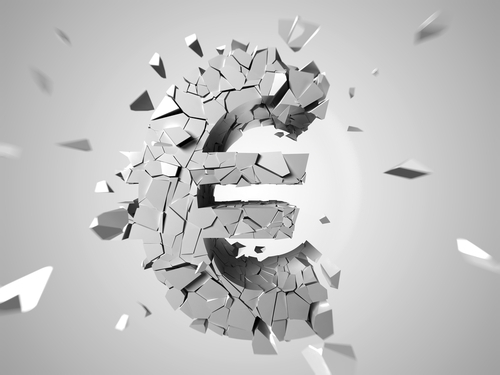 Adjiedj argues that all European multimillionaires have already given up on the Euro based on a few interviews he did with them. Next to that he observes that Europe never really recovered from the crisis, unlike the emerging markets and the US. The difficult cases of Greece and Portugal are for him just a first sign that many more countries are to fall under the economic pressure. Adjiedj is renowned for the accuracy of his predictions, by the way. 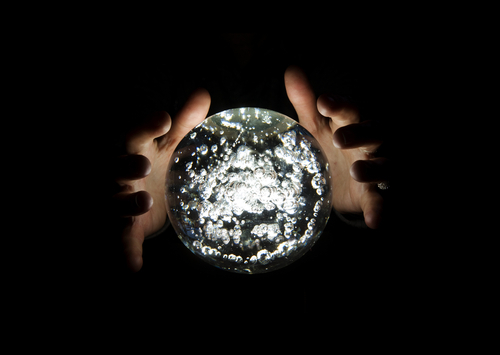 Generally speaking, over 85% of his predictions have become reality. I sincerely hope he’s wrong, but according to him the Euro does not have 10 more years in it.